UNITED NATIONS, New York/KHANKE and DOHUK, Iraq – “I was sold more than once,” Resalah* told UNFPA. A member of the Yazidi minority, she was abducted by the Islamic State in Iraq and the Levant (ISIL, also known as ISIS or Da’esh), traded as property and subjected to relentless abuse. Though she eventually escaped, the experience stayed with her. “I tried to commit suicide more than once,” she said. Violence against women and girls is epidemic around the world, with about one in three women experiencing physical or sexual violence in her lifetime. 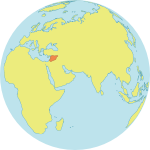 And in the Eastern Mediterranean region, rates of violence against women are among the highest. A 2013 World Health Organization (WHO) report found that 37 per cent of women there experienced violence. And today, those figures could be even higher. 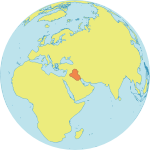 The region – which includes countries such as Iraq, Somalia and Syria – faces some of the gravest humanitarian emergencies in the world, escalating women’s vulnerability. On Monday, a panel discussion at the United Nations Headquarters in New York brought this issue into focus. 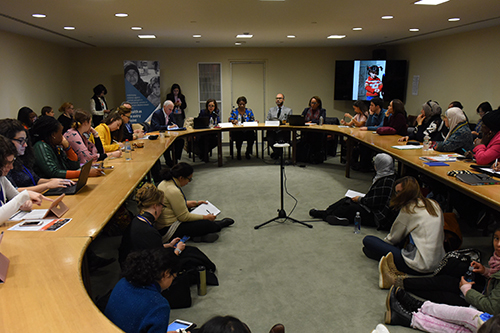 Organized by UNFPA, WHO, UN Women and the League of Arab States, the discussion explored the role of health care professionals in identifying and treating survivors of violence, and – when possible – helping them access justice. Entrenched gender inequality makes women more vulnerable to abuse, the speakers observed. Conflict also increases women’s exposure to violence, both directly and indirectly. Sexual violence can be used as a weapon, as in Resalah’s case. But conflict can also push families towards harmful coping mechanisms, such as child marriage. 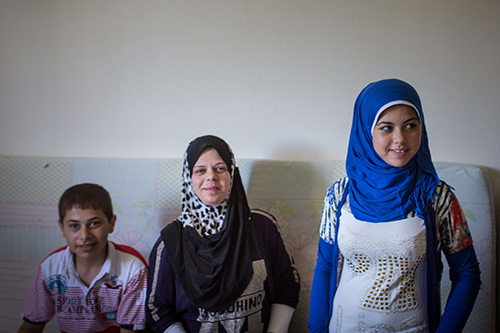 A 2017 study by UNFPA and partners found an alarming rise in child marriages among some Syrian refugee communities, for instance. These professionals can be trained “to treat not just the immediate complaints but also to heed the cries for justice, which is often a part of recovery,” she added. For this, they must be aware of women’s rights, and know how to connect survivors to counselling and legal services. And health workers are not just physicians and nurses, emphasized Dr. Maha El-Adawy, a director at WHO. Community health workers and midwives are also health professionals – and they are often trusted members of their communities. “They can do a lot of outreach, empowerment of women, helping women to make informed choices, and give them choices over their bodies and health,” she said. Having the trust of survivors is essential, a fact that Nagham Nawzat knows all too well. 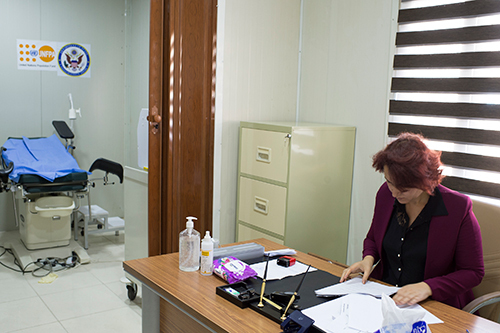 The Iraqi gynaecologist started a clinic to serve survivors of violence and abuse, including Yazidi women and girls. Her clinic, which has received support from UNFPA, provides medical treatment, legal services, counselling and other support. This integration of services helps survivors receive the full breadth of care they need. UNFPA, UN Women, WHO and other partners are now helping governments in the region provide this full range of care through the Essential Services Package, a tool that helps ministries and organizations identify the services that health, social service and justice systems should provide to survivors of violence. These services make a difference. For example, counselling helped Resalah, she said in a 2016 interview at a UNFPA-supported women’s centre. “Sharing my experience with social workers here, the way they respond and support me, keeps me stronger,” she said.